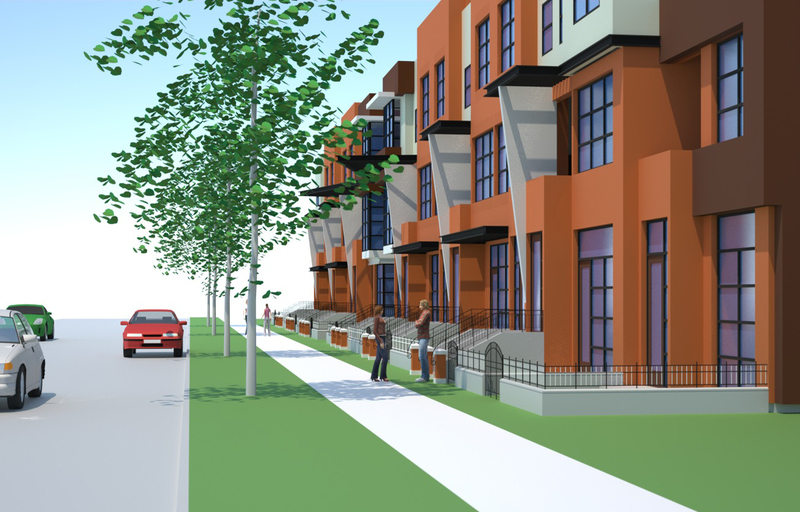 The Roybal Corporation was selected to develop new design concepts for housing located at the current site of the Platte Valley Public Housing Project. DHA proposes to utilize Hope VI redevelopment funds to redevelop this area into market rate and affordable housing. 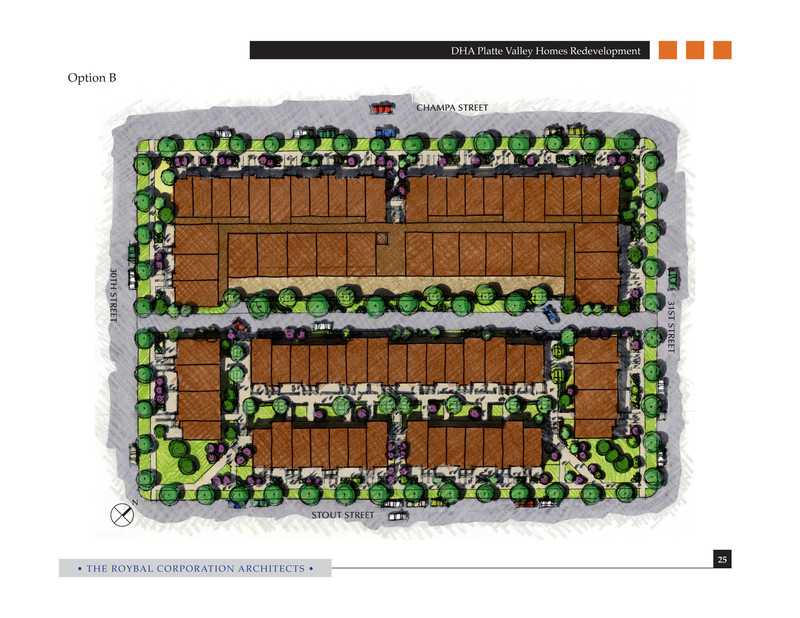 The Roybal Corporation developed four conceptual design scenarios that showed different housing density and configuration approaches to the development of the site, including a mic of row housing and the possible development of associated apartment living. 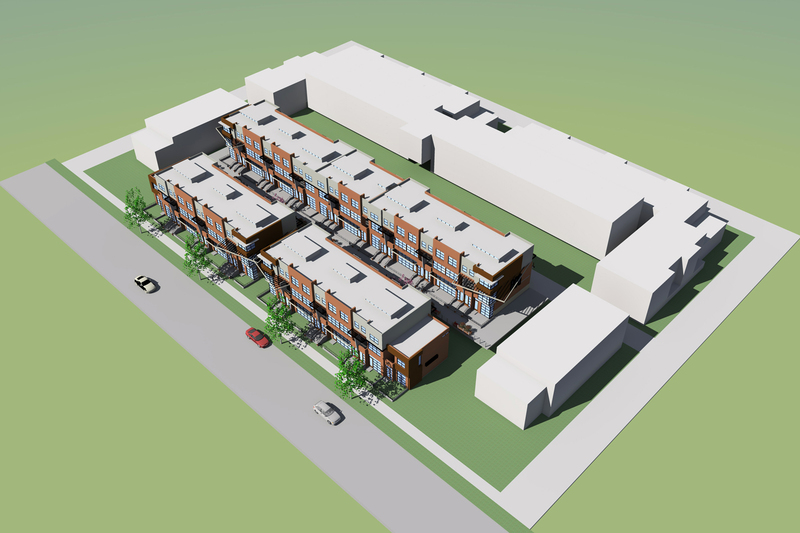 The original public housing constructed on this site was built in 1942 and consisted of nine separate buildings that housed 66 dwelling units within a 2.34 acre site. The new design places new modern townhouse designs close to the street frontage to create a more pedestrian friendly urban edge to the site. 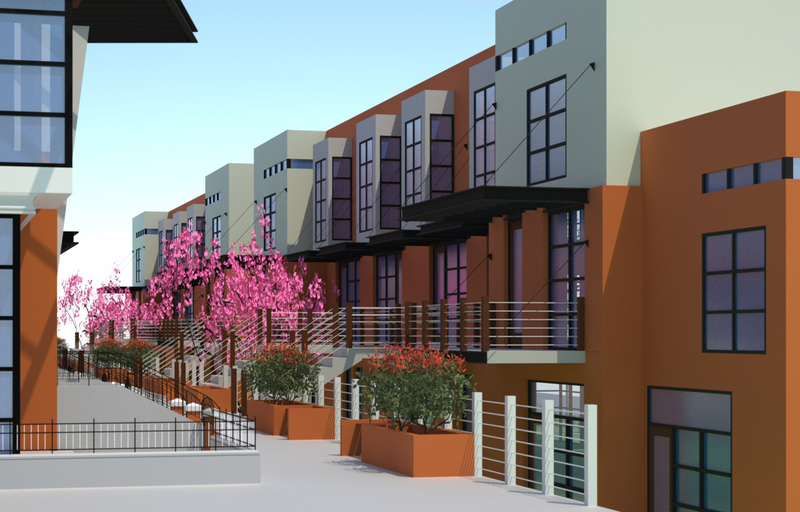 Parking is placed towards the center of the site utilizing the existing alley access. Interior oriented housing units are placed on the interior paring platform and form a pedestrian promenade at the upper housing terrace.